Chris Allen has spent the better part of his life in the construction industry. As a passionate craftsman he has worked for several construction firms and builders on the south shore. When he decided one day that his clients, or “partners” as he refers to them, deserved better service, better communication and a better product he decided to start his own firm. Chris wanted to raise the quality standards on every project he was a part of no matter the budget or scope. Every project needed to be perfect, and every partner he worked for had to feel like part of the team and every relationship he built was something that should last. Chris felt strongly about these key elements, so not too long after departing his last construction company Chris ventured out and began 54 Remodeling. A construction firm focused on delivering the highest quality product, at an honest price for “partners” he could establish a long lasting relationship with. At 54 Remodeling we focus on specialty projects like kitchen and bath remodels, custom millwork, decorative accents, decks and sheds. Many builders say yes to every and any project request. With so many different areas of the construction industry, it is difficult to provide every service possible and still deliver a premium project. For this reason we have established our core areas of services and we don’t stray from that focus. 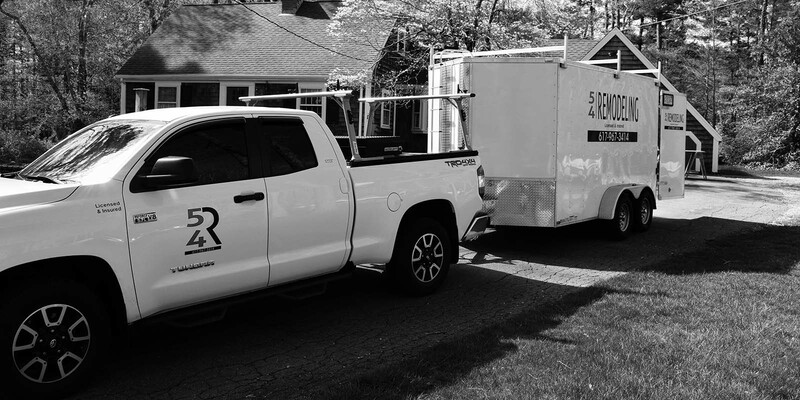 Concentrating on areas like kitchen and baths and other smaller remodeling and restoration projects helps our team stay consistent. Attention to detail is key and a focus on making sure every trim joint, every cabinet and every coat of paint is applied perfectly. As a homeowner you put your heart and soul into your home and at 54 Remodeling we feel exactly the same way. Our goal is to work one on one with our partners to review their design ideas, analyze costs and timelines and develop a scope of work and a schedule that fits into their lives’. Too often we hear about the stresses of construction and remodeling work and how negatively they can impact people’s lives’. We don’t think that has to be the only option. Special care is taken to plan out scheduling and workspace areas that aren’t intrusive to you and your family. Our partners are an investment in our company’s future, so it’s imperative we build a relationship that extends beyond the renovation. We want our partners to contact us as they move from home to home and as their family’s expand. Renovation projects should be an enjoyable experience, we are here to ensure that happens.